Sea lions have noticed that Pacific Northwest dams conveniently funnel fish into predators’ mouths. Well, not exactly. 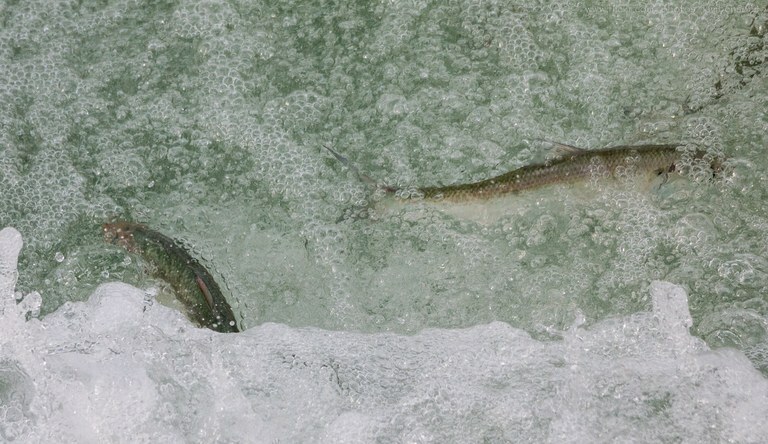 But the Pacific Northwest’s Columbia River is an important migratory pathway for salmonid fish, which live in the sea as adults but swim back upriver to spawn. The fish ladders built to help salmon bypass the river’s many dams attract marine mammals, which congregate near the entrance of the ladders and feast. For example, in 2016 California sea lions ate some four percent of salmonids migrating through the Bonneville Dam, according to a report by the U.S. Army Corps of Engineers. Because salmonid populations have nosedived in recent years, these seasonal feeding frenzies trouble fisheries managers. 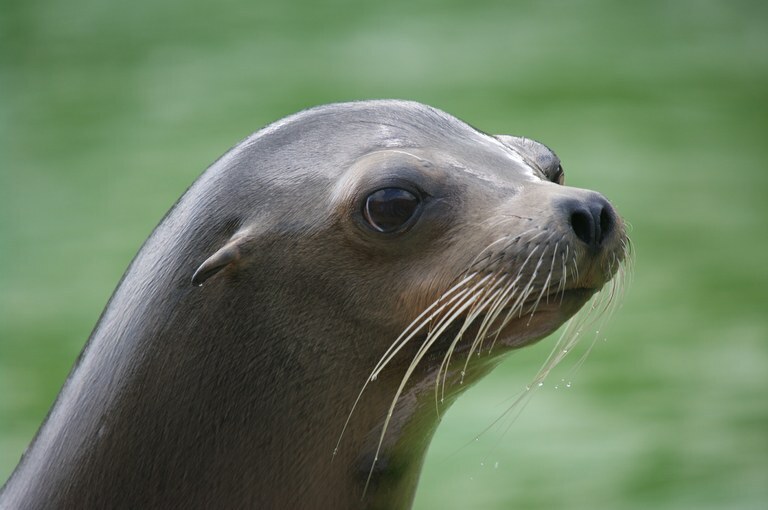 Currently, the states of Washington, Oregon and Idaho may take individually identifiable California sea lions near Bonneville Dam that are eating federally listed salmon and steelhead. Under the new legislation, any California sea lion found upstream of river mile 112 of the Columbia – roughly the location of the Portland Airport – or in tributaries would be considered a “problem” animal and could be targeted. Annually, a permit holder would be able to kill up to 100 sea lions for the duration of the permit. Cumulatively, all permit holders would be able to take up to 10 percent of the “potential biological removal” level calculated by NOAA, or a total of 920 animals per year. Dam salmon for dinner again? A California sea lion. The pinnipeds increasingly prey on salmon that bottleneck near dams along the Columbia River during spring migrations. The Columbia River Intertribal Commission – which includes the Nez Perce Tribe, the Confederated Tribes of the Umatilla Indian Reservation, the Confederated Tribes of the Warm Springs Reservation of Oregon, and the Confederated Tribes and Bands of the Yakama Nation – backs the bills, as does the Cowlitz Indian Tribe. According to Rep. Jared Huffman, D-California, scientific research has found that sea lions are not the biggest threat to the Columbia River’s salmon and steelhead – dams are. Huffman stated that to protect salmon populations in the long run, fish passage and habitat on the Columbia would have to be addressed. Criticizing what he called the bill’s “ready, shoot, aim” approach, Huffman unsuccessfully introduced a bill amendment that would require environmental review and public comment, and would protect other wildlife species. Calling dams “predator traps,” Huffman tried through his amendment to require sufficient investigation into nonlethal alternatives before taking sea lions and to reduce the overall number of sea lions that could be taken each year. Navigating the fish ladder at Bonneville Dam in the Columbia River. Rep. Doug Lamborn, R-Colorado, disagreed with Huffman’s amendment. He objected particularly to a permit holder’s having to identify that a sea lion had preyed on salmon before killing the sea lion. “You’re almost asking for Miranda Rights at that point,” he said, calling the entire amendment too restrictive. Committee chairman Rep. Rob Bishop, R–Utah, opposed the amendment for adding “additional bureaucratic red tape” that went against the purpose of the bill. Correction: This article incorrectly attributed Mike Bishop, R-Michigan, in opposition to Huffman’s amendment. The representative was House Committee on Natural Resources Chairman Rob Bishop, R-Utah.